For existing customers with active prepaid service. Card has no value until activated at register. You understand that this payment is a replenishment of your existing account and is subject to the Terms and Conditions of Verizon Wireless Prepay Customer Agreement that you acknowledge you received and agreed to when you activated service. No refunds or exchanges. Card is void if not added to an account within one year of purchase. Account balance expires 60 days for $50 cards. Daily Access, charges for calls made, and other charges for available services, may deplete balance prior to the expiration of funds on your account. To carry your balance forward, simply buy and add another card/PIN before the expiration date and any existing balance will be carried over to the new expiration date. Verizon Wireless will suspend service and no calls can be made or received, if you do not have the funds required for your Daily Access, your account reaches $0 or your account reaches the expiration date. 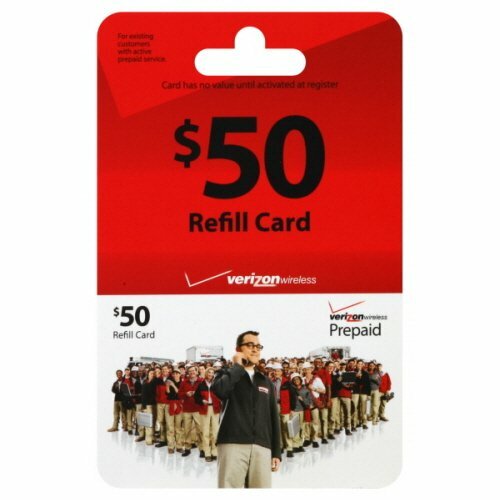 A Verizon Wireless Prepay phone number is required before this card can be added to an account. Directions 3 Ways to Add This Card: 1. My Account on your phone (Mobile Web 2.0 Handset Required): Press up on 4-way directional key. 2. Dial star 611 from your wireless phone. When prompted, enter the PIN number listed below. 3. Online - www.verizonwireless.com/myprepay.